The Addiction Resource Center (ARC) is nationally recognized for our high quality, confidential treatment for drug and alcohol addiction. We have a proven track record of helping individuals overcome challenges of alcohol and drug use. 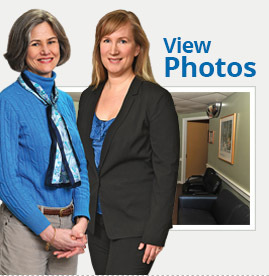 With two convenient locations in Brunswick and Damariscotta, our caring and compassionate staff is here to help individuals return to a healthy lifestyle. The highly trained ARC staff is friendly, approachable, and available whenever assistance is needed – every call is answered, and no one is ever turned away. With the full support and resources of Mid Coast Hospital, the ARC is integrated with a comprehensive system of healthcare services, allowing for easy referrals, coordinated care, and full access for anyone in need of assistance, regardless of their inability to pay. As a program of Mid Coast Hospital, the Addiction Resource Center is fully accredited by the Joint Commission. This Gold Seal of Approval® demonstrates our compliance with the Joint Commission’s national standards for healthcare quality and safety. The ARC is also licensed by the Maine State Office of Substance Abuse to provide prevention and treatment services, co-occurring mental health disorders treatment, and driver education and evaluation.